Sign on bonus of $1000 for full time! Order, manage and dispose of medications per regulations and policies. Initiate and/or amend residents’ Care Plans and Functional Assessments according to facility policy. Provide nursing services per Care Plan. Provide on-going assessment of residents and update the physician. Carry out physician’s orders in a timely manner and understand the purpose as it relates to residents condition. Follow facility policies and procedures as well as Assisted Living regulations for resident care. Coordinate contracted health related services (PT, OT, ST, Home health, Hospice, Dentist, Podiatrist, Eye Doctor, etc.). Assist with and organize admission interviews as needed. Assess prospective residents for appropriate placement. Provide orientation to new staff. Rotate on-call assignment to support the Caregivers 24/7. Ensure defensive documentation related to residents care has been entered. Assume responsibility for daily management of electronic medical records including daily check of the exception report, entering new orders, etc. Inform designated family or DPOA of medical emergencies fall or injuries, change of condition, or any other appropriate information. Participate in education of staff, residents, and families. Maintain personal certification and training requirements. Investigate incidents, accidents, and errors. Assist with education and follow-up. Organize and lead care conferences with residents and family members. Oversee and maintain Caregiver Performance Logs per HR schedule and as needed. Provide input to change processes where necessary or beneficial. Support Director of Health Care Services and CRISTA AL as the changes occur. Work collaboratively with supervisor, coworkers and residents. SUPERVISORY RESPONSIBILITIES: Assist with Caregiver’s supervision including Performance Logs. Christian Commitment: Strong Christian commitment and personal faith in Christ demonstrated in behavior and attitude. Past experience working in the healthcare industry. 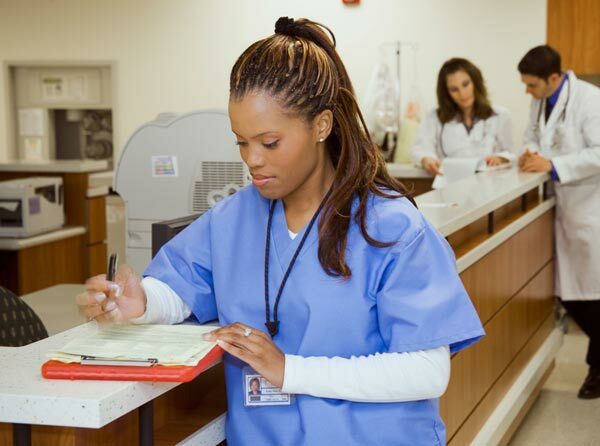 Licensure/Certification: Current Washington State RN or LPN license. Software and Equipment Used: Outlook, Excel, Vision (HMX), and standard medical equipment. Computer proficiency. Ability to make decisions quickly. Specialty training for Assisted Living or willingness to be trained. Foster an environment of trust, collaboration and leading by example. Interact with residents’ family members in a professional manner. Participate in and be willing to lead devotions on occasion. Pray with staff or residents as opportunities arise. Ability to work collaboratively with supervisor, coworkers and residents. Experience: Long Term Care experience.